Foundation of Light’s Football Scholars continue to make their mark on the international stage after forward Cieran Jackson was selected for England Under 18 Schoolboys for the upcoming Centenary Shield. The Shildon Scholars youngster, 17, who has also made three appearances for Shildon AFC this season, travelled to Lilleshall National Sports Centre last week for the final round of trials alongside 31 hopefuls from across the country. Cieran’s performances against teams from the RAF and Royal Navy as well as his eagerness to learn and develop in the post-match reviews and training sessions earned him a place in the Three Lions’ squad for the remainder of the season. "I was so happy when I found out I’d been selected as my hard work had paid off" Cieran said. "The standard at the trials was really high as they included the best players still in education and had been cut down from previous rounds, so it was really competitive. "I am looking forward to the games to test myself against the best players and hopefully win the Centenary Shield." Cieran will join up with his teammates for a training camp next month before reigning champions England take on Republic of Ireland, Scotland, Wales and Northern Ireland in the annual tournament which kicks off in March. Shildon Scholars coach, Alan Young, added. “For Cieran to be given this opportunity is a proud moment for myself and the Scholarship programme. “He came to us a good footballer but had never really been given an opportunity to thrive. When we first met him, he spoke about his desire to make a career out of football and to become the best he could be at the sport he loved. 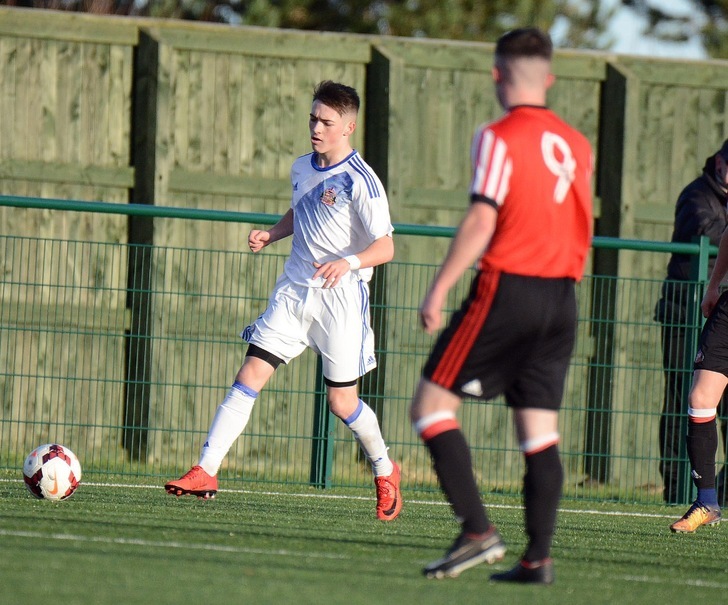 An integral part of the Shildon Scholars side, Cieran has also appeared for Shildon AFC this season and praised the Football Scholarship and Foundation staff for helping him progress as a player since joining the programme. “The Scholarship has helped me a lot as they have allowed me to develop the way I play over the last year and a half and I might not have got this opportunity without them. Foundation of Light’s Football Scholarship programme is celebrating further success after second years Craig Ellison and Lewis King signed professional contracts at Premier League side Burnley Football Club. SUNDERLAND AFC FOUNDATION OF LIGHT FOOTBALL SCHOLARSHIP. Foundation of Light's Football Scholarship give YOU the opportunity to represent Sunderland AFC and gain nationally recognised qualifications through an intensive football and education programme. 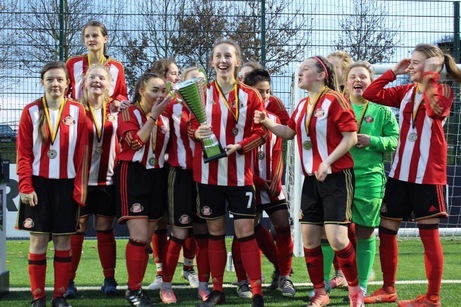 Open to males and females from 16-18, students will train, play and learn in the official Sunderland AFC Adidas training and match kits under the guidance of the Foundation's full-time UEFA A and B qualified coaches and expert Education Officers. 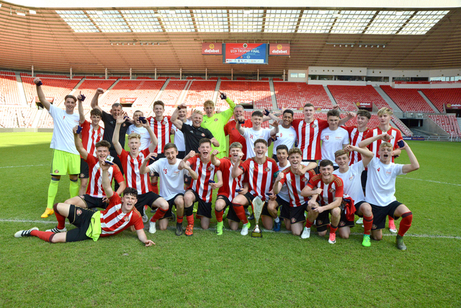 The Football Scholarship is delivered in partnership with Monkwearmouth Sixth Form Academy, South Tyneside College, Shildon AFC, Boldon School, The Hermitage Academy and is sponsored by leading dispensed soft drink suppliers ABCO-Anderson Beverage Company Limited. 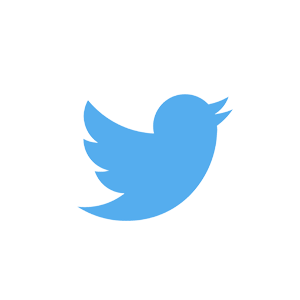 You can keep up to date with the Foundation of Light Scholars on Twitter at @FoLScholars. 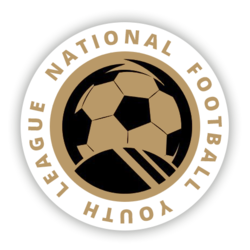 NFYL Trophy winners 2016-17 (watch the build and highlights of the final on the video above). NFYL Ladies Cup winners 2017/18. Students will represent the Black Cats in the FA National U19 Youth Development League or the Regional College League against sides such as Chelsea, Burnley, Crystal Palace and Aston Villa. 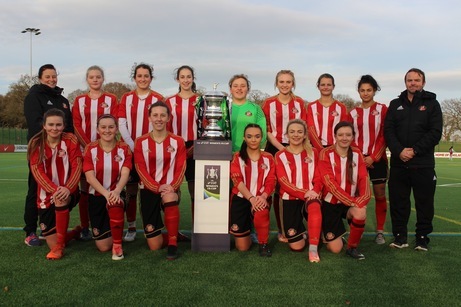 Home games are currently played at Sunderland AFC’s Academy of Light, Monkwearmouth Academy and Shildon AFC’s Dean Street ensuring scholars develop their football skills in first-class environments. Students will train up to five days per week focusing their technical, tactical and analytical skills and fitness with full-time UEFA A and UEFA B qualified coaches, mirroring the training schedule of players at professional Academies. Using footage recorded by SportsByte at the University of Sunderland, students will have the opportunity to watch back each fixture for detailed analysis with the coaching team. With the physical demands placed on players in football and training games, elements of training place emphasis on physical development, transferring improvements from gym to pitch. Players will receive advice on nutritional regimes that will allow for optimal performance to assist preparation and recovery from training and games, including guest masterclasses. The Academic programme allows students to develop the essential skills, knowledge and qualifications required to progress into a career in sport and leisure, either directly, or through higher education. Students will study a Cambridge Technical Extended Diploma in Sport and Physical Activity Development (equivalent to three 'A' Levels), and FA Level 1 in Football Coaching with FA Level 2 available as an addition option. 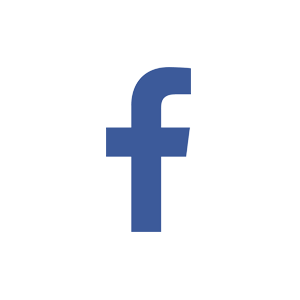 Classes are delivered over a period of two-years and a mixture of theory and practical sessions and assessed through external exams, observed practical assessments, written reports, presentations, discussions, case studies and workbooks. We will give you advice, support and guidance to help you make that next step, exploring university, employment and further training options.